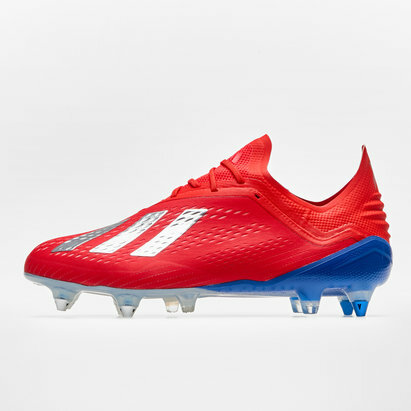 Sculpted for speed, dynamic and streamlined, be fast and more competitive than ever when lacing up in a pair of X 18+ FG Football Boots from adidas in Active Red, Silver Metallic and Bold Blue. 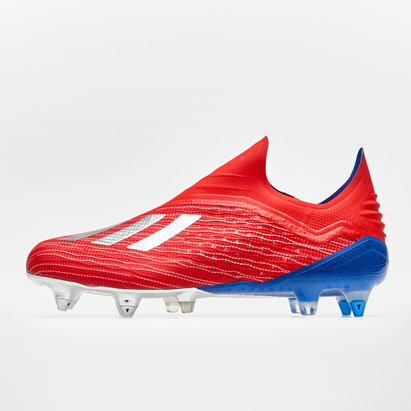 Introducing a boot designed to bring speed to your game, this adidas X 18+ has been re-engineered for quick movements and better agility. 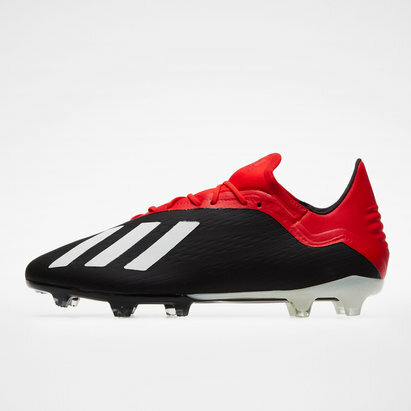 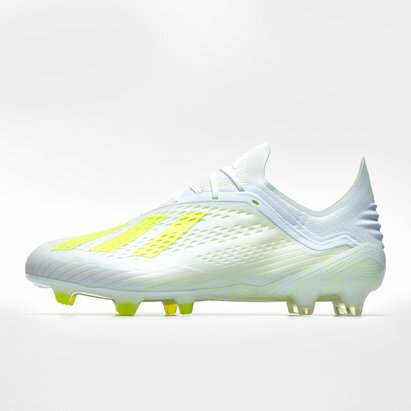 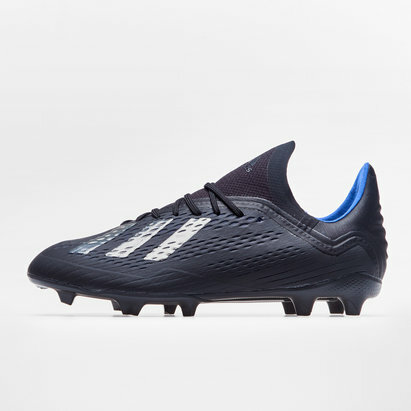 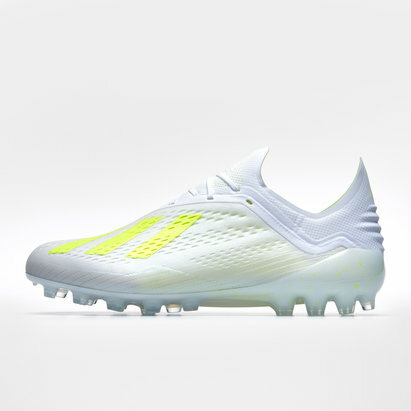 These soft ground football boots are stripped down to the essentials with a laceless construction as the removal of unneeded layers creates a maximum ball control area. 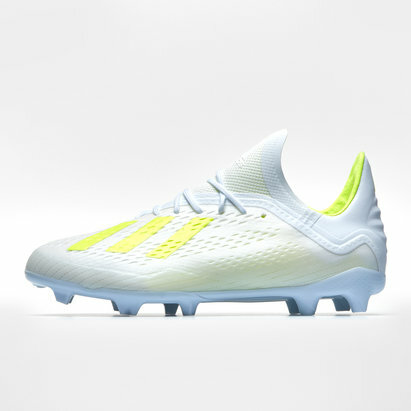 It's the upper that takes most the plaudits thanks to the skeletalweave. Compiled of an ultra-thin woven grid of optically charged speed yarns to allow for responsive touch and lightweight feel. 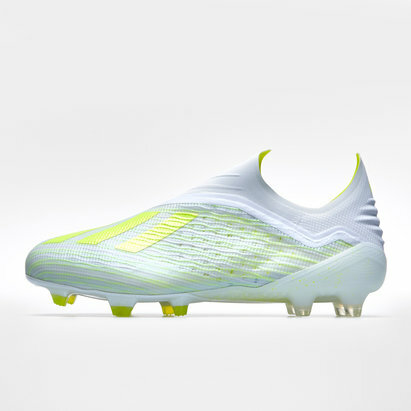 The tech combines with the new, ultra-soft speedmesh to create a lightweight boot that feels incredibly strong – a combination that has previously proved hard to nail.